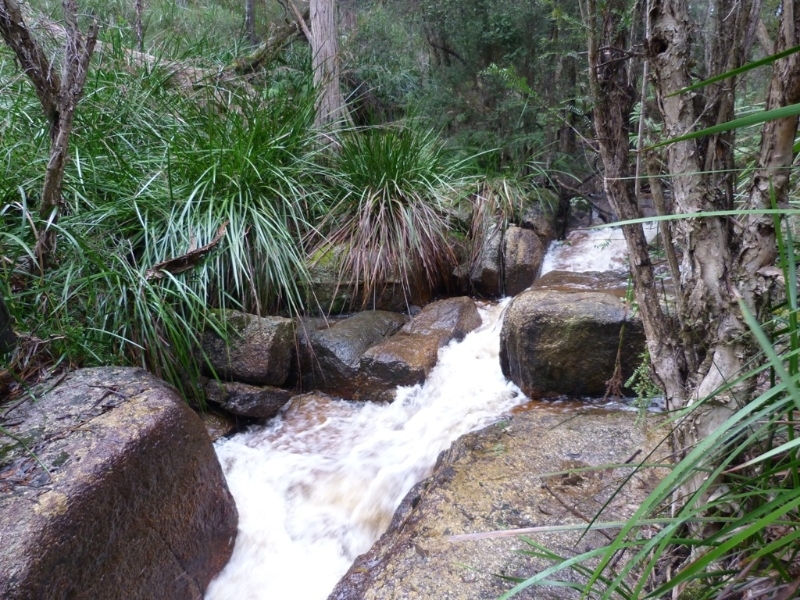 This wonderful loop walk follows the Tomahawk creek both up and down stream. Along the way the walker is immersed in forest flora and gorgeous creek views. Dogs on lead allowed. 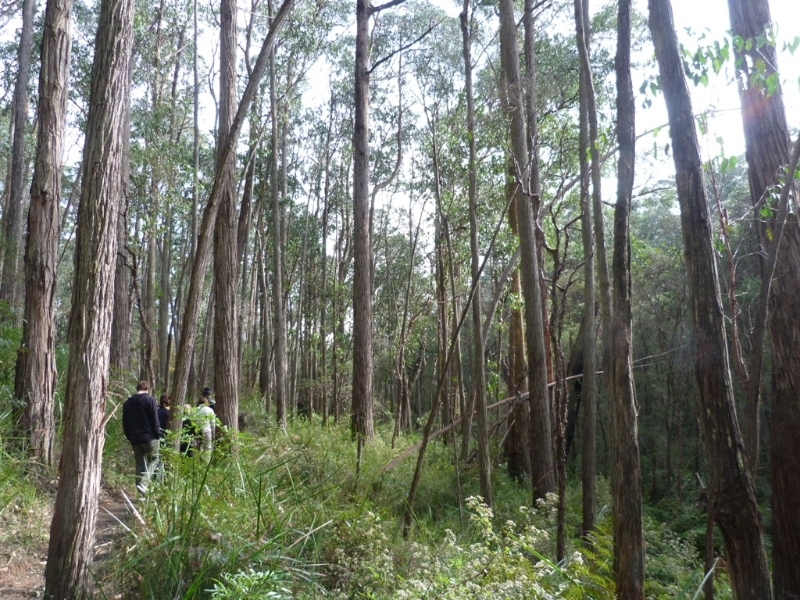 The walk combines two tracks, the Tomahawk Creek Track and the Thornton Track. Both tracks follow the Tomahawk Creek and both have the same start and end point. This allows you to complete one or both of the tracks. 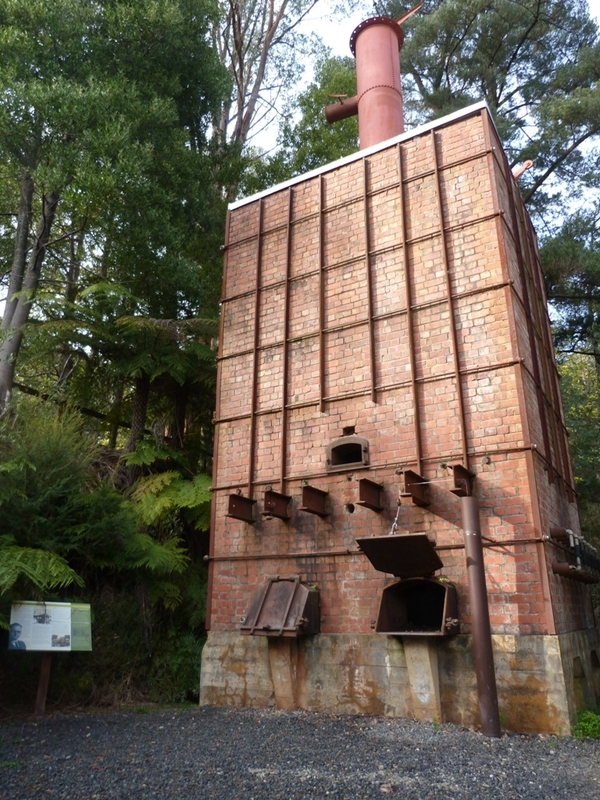 We start the walk at the eight metre high brick charcoal kiln which gives the park its name. Kurth Kiln was built during the Second World War to make charcoal. For more details of the kilns history visit bit.ly/VLVRNa. It is worth spending a few minutes here to read the information board which gives lots of information about the history of the kiln. Tomahawk Creek Track: From the Kiln turn left onto Soldiers Road, then after 100m turn right onto Beenak Road. Just before the bridge take the track on your left that meanders south along the creek. There are large rocks along the way where it is possible to rest and take in the beautiful surrounds. Swamp wallabies, echidnas, possums, yellow-bellied gliders, sugar gliders and great gliders make the forest their home. If you're quiet you might spot some local inhabitants. After about 1km you will cross a small footbridge and immediately turn right, back towards Beenak Road along the northern side of the creek. When you return to Beenak Road cross the road towards the open grassy area with the park bench. You can finish your walk here, or have a break before continuing. It is a beautiful spot, ideal for a picnic. 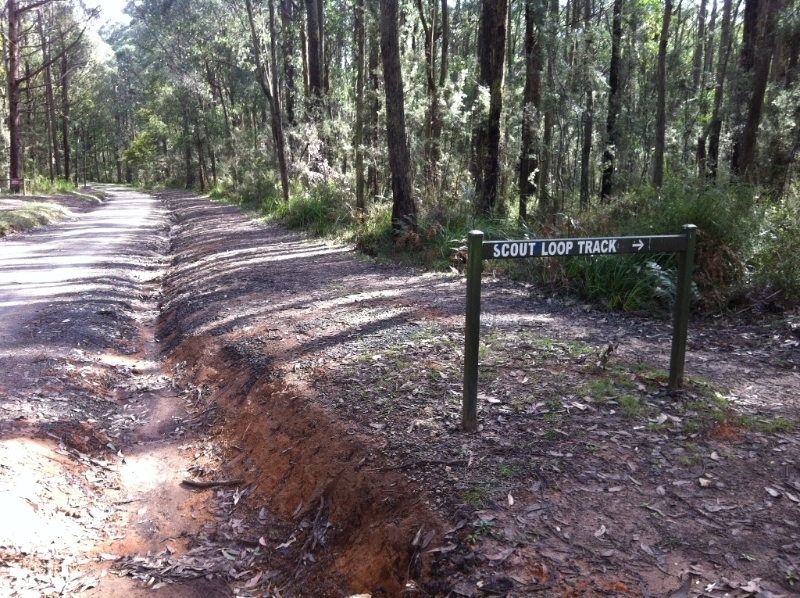 The Thornton Track: If you are continuing on to Thornton Track, walk to the back of the picnic area. There is a sign here that indicates the start of the walk. This track continues along the north side of the creek. After about 1km you will reach Thornton Bridge. Cross the bridge and turn right onto wide, flat Scout Camp Track. Turn right at Soldiers Road which leads us back to the kiln. 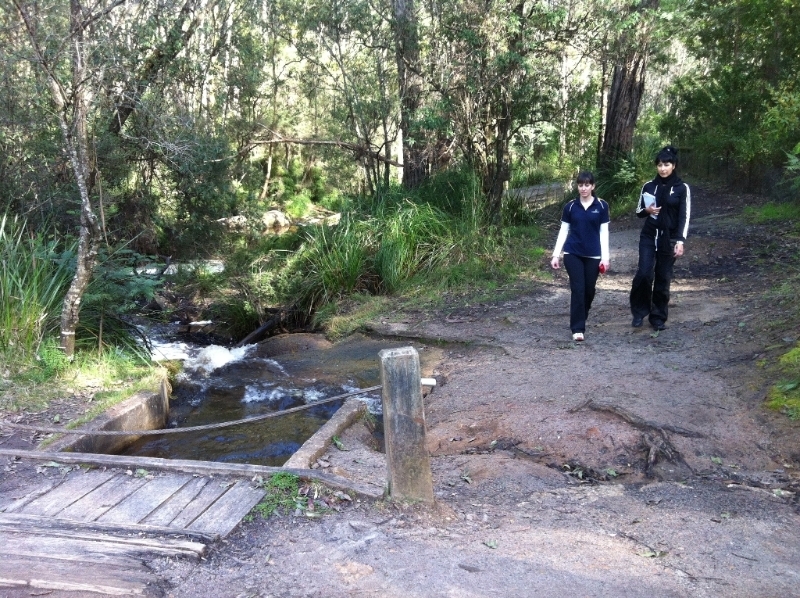 Access: The Tomahawk Creek track in Kurth Kiln Regional Park is 65 kilometres east of Melbourne. You can get there via Launching Place Road or Beenak Road, Gembrook. 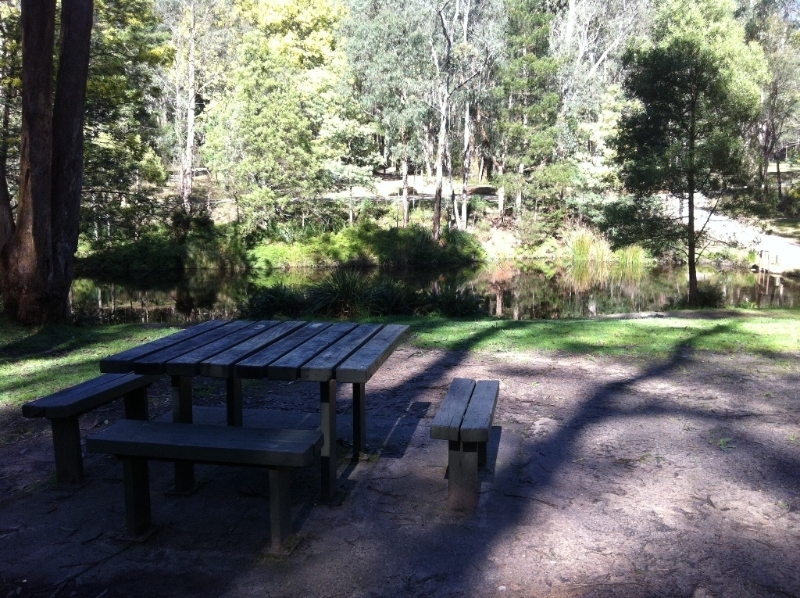 Kurth Kiln Picnic Ground and Camping Area is 7 kilometres north of Gembrook. 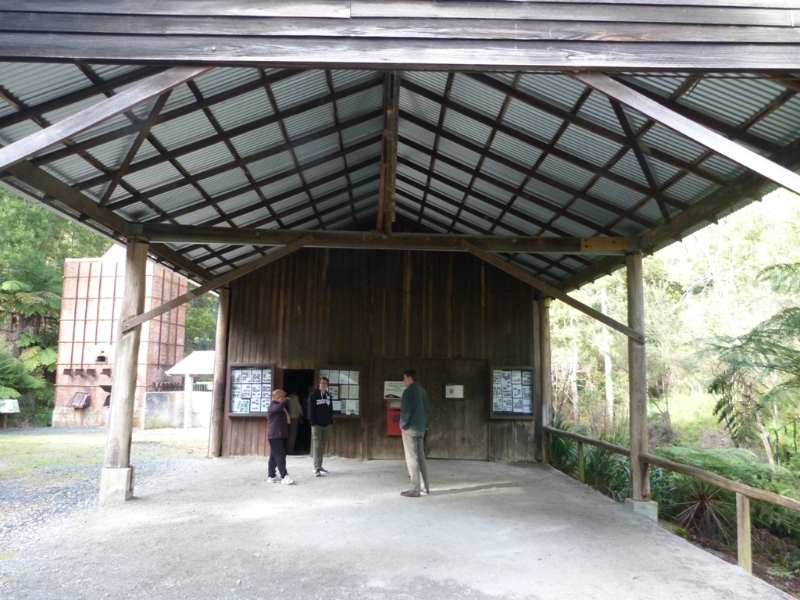 Facilities: There are three small car parks near the kiln. 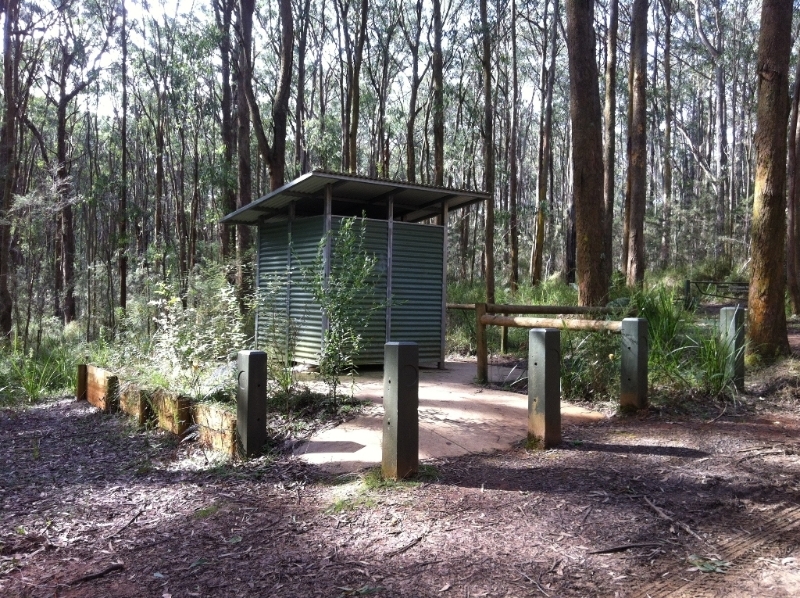 There is a toilet at the Kurth Kiln camping ground, a short walk from the kiln. There is also a toilet on Scout Camp Track near Thornton bridge. 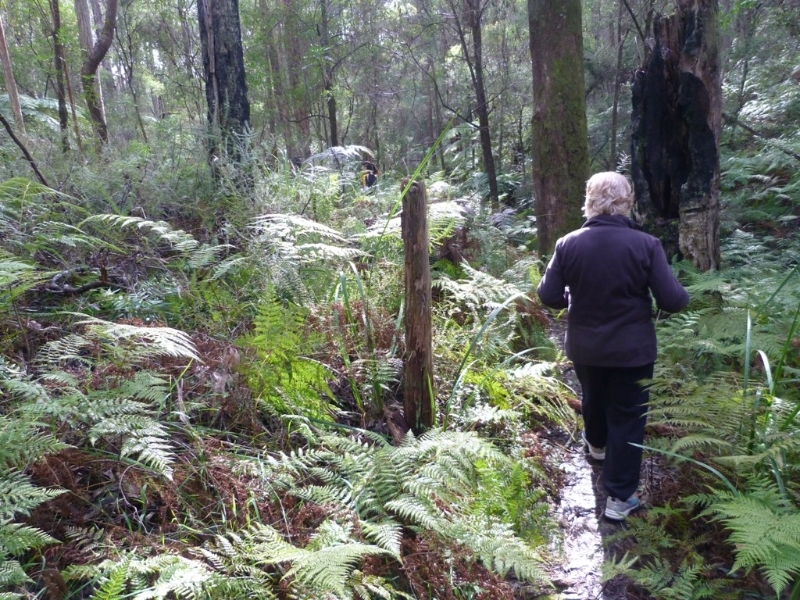 Notes: The path is narrow and uneven in places and can get quite slippery after wet weather, but the overall quality of the path is very good and well maintained. Dogs must be kept on a leash. When petrol rationing was introduced in 1940, charcoal was seen as a practical alternative. This kiln is a rare example of a relatively intact charcoal burning kiln. The Friends are actively engaged in maintaining the notice board, the kiln site and the tracks on this walk. This versatile tree provided food, medicines, containers, string and tools for Aboriginal people. There are several great views of the creek along the walk. Close your eyes and listen to the water running down stream. What other sounds can you hear? 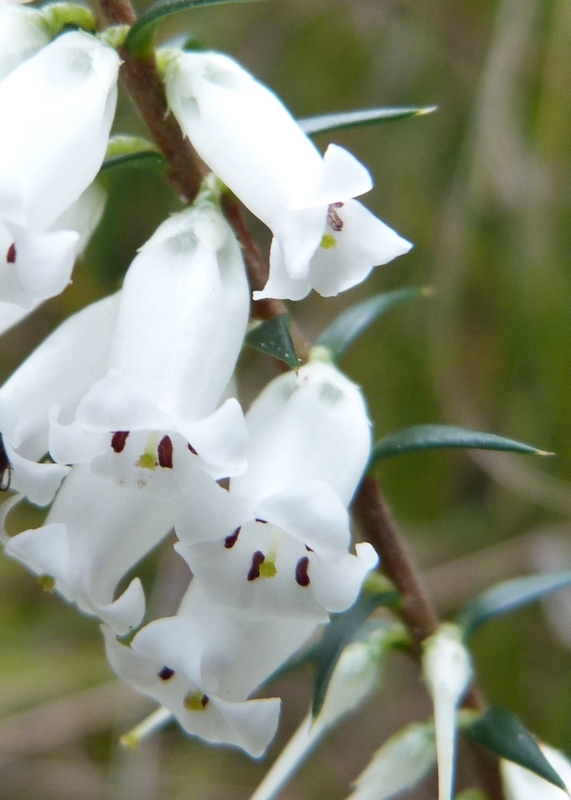 The heath flowers, which mainly occur between late autumn and early spring are white, pink or red in colour. See if you can find a pink one, it is Victorias floral emblem. You can be forgiven for thinking it is a sign of pollution. 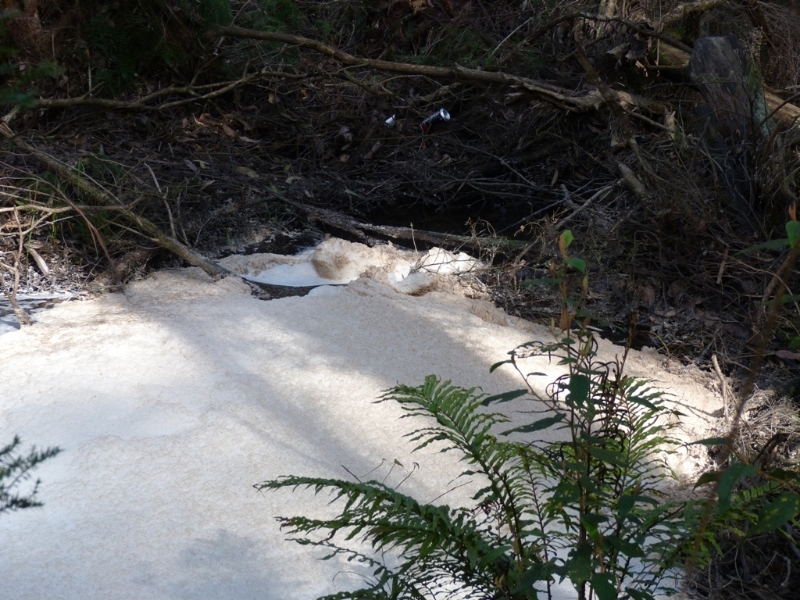 The foam is produced by the decomposition of a wide variety of plant material including aquatic plants and the leaves of trees. The track returns to Beenak Road on the opposite side of the bridge to where we started. After walking along the Tomahawk track, this is a great spot to relax and listen to the birds singing. 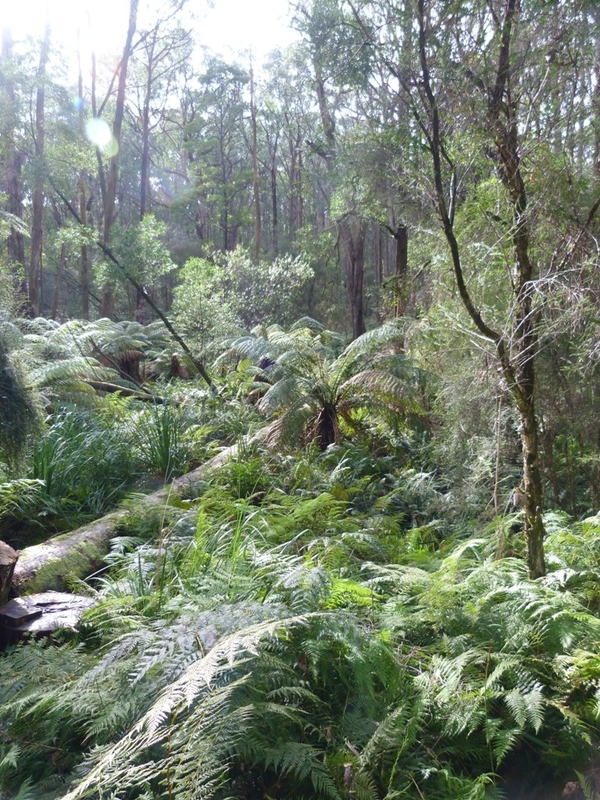 You may hear lyrebirds, honeyeaters, parrots and kookaburras. The path narrows at times immersing you in the sights and smells of ferns, bushes and trees along the way. A fallen tree has provided the opportunity for smaller plants to flourish. Beneath the tree canopy you can find Silver Wattle, Spike Wattle, Christmas Bush, Silver Banksia and tree ferns. 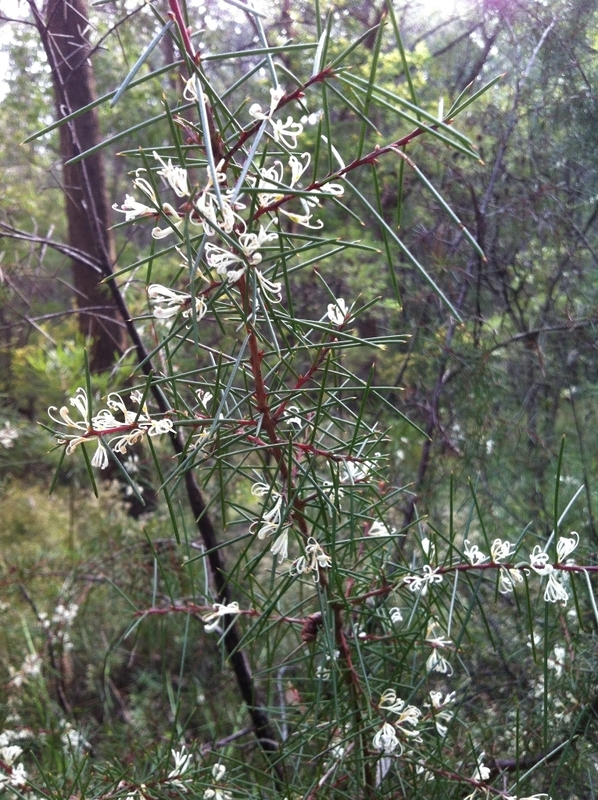 Look out for Hakea along the route. The nectar is used by insects and birds when it is in flower. Hakea requires fire to reproduce as the hard nut needs to be broken for the seed to be released. This toilet might provide welcome relief along the way. It is only a slight detour from the walking route. The last section of the walk is a wide gravel road leading back to the kiln.